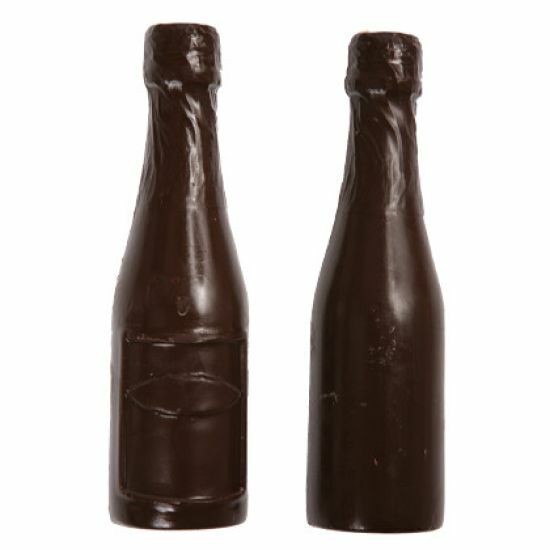 A chocolate bottle of bubbly is a delicious, alcohol-free alternative to the real thing and makes the perfect gift for any occasion! Make your very own 3D bottle of champagne with this easy-to-use plastic mould, which includes detailed moulds for the front and back of the bottle. Made from strong, food-safe PVC, these clear chocolate moulds are suitable for all home confectionery-making. The detailed designs allow you to turn out impressive shapes with ease, whether you’re using milk, dark or white chocolate or other edible mediums such as marzipan, Cocoform, fondant, jelly or caster sugar.